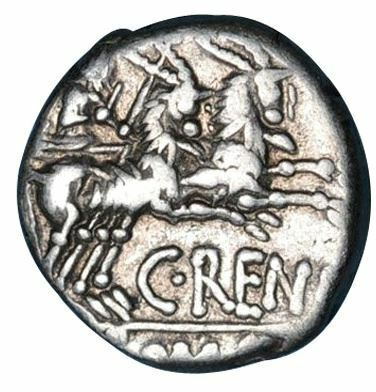 C. Renius was one of the moneyers for the year 138 BC. He is not otherwise known. In fact, the entire Gens Renia is completely unknown except for these coins. During the Empire, a Rennius family which could be descended from this gens appears, but they are likewise almost unknown. A single inscription indicates that they may have originated from the city of Lanuvium.